Supersol has been making efforts in term of pricing, particularly on traffic-generating fresh produce. 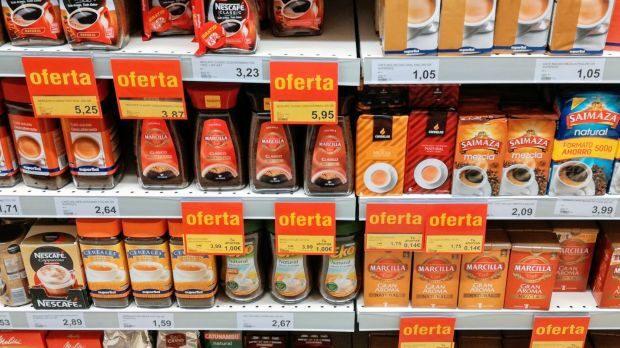 Spanish supermarket chain Supersol is ending the year with its "highest number of openings of the past decade", according to Managing Director Arunas Zimnickas, trade publication Alimarket reports. The declaration took place during the inauguration of the retailer’s latest supermarket in Madrid. The expansion efforts will be continued in 2018 with further openings and store refurbishments on the retailer's agenda, Zimnickas added. The retailer opened four supermarkets in 2017, and refurbished a further eight. We feel that Zimnickas’s statement is bittersweet. The retailer has been moving between different owners over the past decade, with serious repercussions in terms of store opening programme, strategic vision and relationships with trade unions, topped by years of economic crisis in Spain. Resuming expansion could indicate some light at the end of the tunnel, or at least that a page has been turned. We feel it will be a challenge to optimise the supply chain in order to improve cost efficiency and ultimately improve pricing. The latter point is particularly vital given the retailer’s exposure to Andalusia (southern Spain), one of the most economically-challenged regions in Spain. Even so, we believe the retailer's efforts to structure its back-end processes and refurbish its stores will eventually produce positive results. Supersol appears as a bridgehead for its latest owner, Lithuanian trading group Vilniaus Prekyba, which has its own retail ambition across Europe. Known as the owner of grocery retailer Maxima in the Baltics, Vilniaus Prekyba's subsidiaries have been on an acquisition spree lately – the pending acquisition of Polish Emperia Holding and its grocery operations Stokrotka, as well as Swedish pharmacy chain Apoteksgruppen are but a few recent examples. The flip side of the coin is that Vilniaus Prekyba is likely to want to optimise its growing portfolio; and divestment of Supersol's Cash Diplo cash & carries is reportedly being considered. 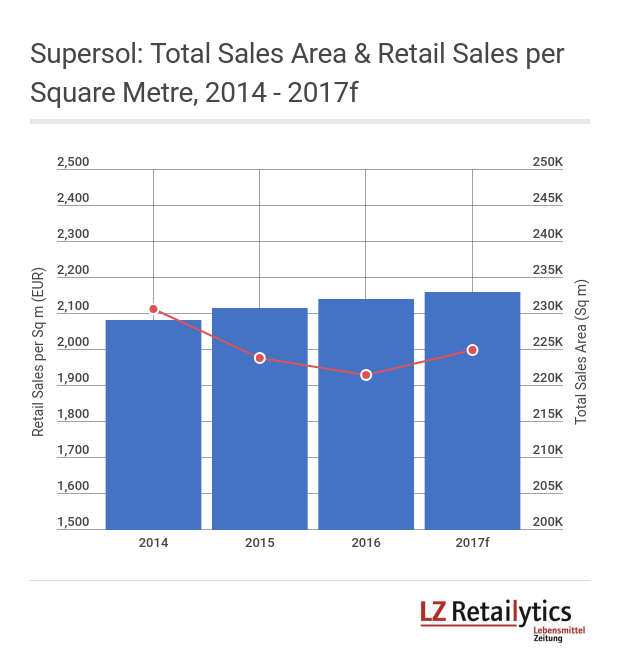 Network optimisation and a 'back to basics' strategy are expected to improve Supersol's performance for FY 2017. Note that sales include Cash Diplo wholesale. With contributions from Retail Analyst Daniel Johansson.